In 2013, the Dolibarr foundation works a lot to make promotion and development of Dolibarr ERP CRM project more industrials. We will continue in 2014. Reduce bottleneck of core team. Make maintenance release more often (to get a better support). Make maintenance release on older version (to increase long term support). 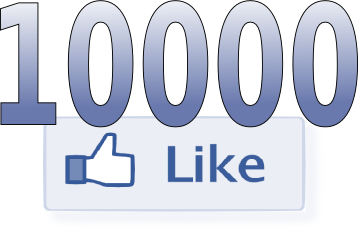 We would like to reach 10000 followers on #Dolibarr #ERP #CRM international facebook page before end of year. Note that we are looking for community managers for some other localized facebook page (italian, portugal and germany). If you are ready to publish for such languages, please contact the Dolibarr foundation. I am happy to officially announce that the new translation process using @transifex is ready to use for #Dolibarr #ERP & #CRM translation (thanks to Italian guys to initialize the idea). With this new system, it was never so easy to help on Dolibarr translation. There is no technical knowledge to have, just create an account onto transifex.com and translate from web interface. A maintenance release for branch 3.4 of Dolibarr ERP & CRM is available. Dolibar 3.4.1 contains only fixes of bugs found into 3.4 branch. We recommand everybody that use version 3.4.0 to upgrade to this new version. As any maintenance release, no new features, nor data structure change is present into this version (see Read more for full list of fixes). Note that the freeze of version 3.5 should be done very soon too.